Google's Chrome browser is full of shortcuts, hidden functions, and tweaks that can save you time and improve your workflow. All you have to do is carve out a few minutes and learn how to take advantage of 'em. So read on -- and get ready to transform the way you use your browser. Be aware that this may cause issues with certain websites; you'll probably want to click the "Manage exceptions" button and whitelist sites that rely heavily on plug-ins to operate -- YouTube, Vimeo, and Pandora, for instance -- in order to avoid any funky behavior.Chrome tip No. 1Wish there were a way to keep videos and other Flash content from automatically playing when you open a page? There is: Type chrome://settings/content into Chrome's Omnibox (aka its address bar), scroll down to the section labeled "Plug-ins," and select "Click to play." Now, any piece of multimedia content will appear as a grayed-out box until you click to activate it. Chrome tip No. 2You probably know you can drag tabs in and out of windows, but there's also a lesser-known shortcut in the tab management family: Middle-clicking a tab's title box (at the top of the browser window) will cause the tab to close. Chrome tip No. 3Middle-clicking has another hidden use throughout Chrome: It will cause a link to open in a new tab in the background, so you can continue working in your current tab without interruption. It'll work with a link on a Web page as well as with an item in the drop-down list that appears when you type into the Omnibox. Chrome tip No. 4If you don't like to middle-click, don't worry: Holding down the Ctrl (or Cmd) key while left-clicking will accomplish the same feat described in tip No. 3. Holding down Shift while left-clicking, meanwhile, will open the link in a new background window instead of a tab. Chrome tip No. 5Another useful Omnibox key combo: Try pressing Alt-Enter after you type a search term or URL into the box. That'll cause your results to open in a new tab instead of in your current tab. Not a fan of Chrome's revamped New Tab page? You're not alone. Google recently phased out aworkaround that let you switch back to the old New Tab style, but a third-party extension calledNew Tab Redirect can help fill the void. Once you've installed the extension, head into its settings and click the option to use the Apps page as your New Tab page. It's not identical to the original New Tab setup, but it's darn close. Chrome tip No. 7When you want to move or close multiple tabs at once, hold down the Shift key and click each of their titles at the top of the browser. Thus, they'll all be selected; you can then drag them out to a new window together, or close them all simultaneously by pressing Ctrl-W (Cmd-W on a Mac). Close a tab by mistake? Press Ctrl-Shift-T (Cmd-Shift-T on a Mac) to reopen it. You can press it again and again to keep reopening old tabs in the order they were closed. If you ever highlight text on a Web page, try right-clicking afterward. You'll find a single-step option to search for the text -- or, if the text involves a valid (but not hyperlinked) URL, to navigate to it without having to copy and paste. You can always access your browsing history by pressing Ctrl-H, but you can also see the most recently viewed pages within any individual tab by clicking and holding the Back button at the top-left of the browser. The middle-click and Ctrl- or Shift-click commands described in tips 3 and 4 will work there, too, if you want to open an old link in a new background tab or window. You can also highlight text, then drag it to the Omnibox to initiate a search or navigation in the same manner described in tip No. 10. Highlighting text and dragging it to the top-most area of the browser -- next to your right-most tab -- will launch a search or navigation in a new tab rather than the current one. 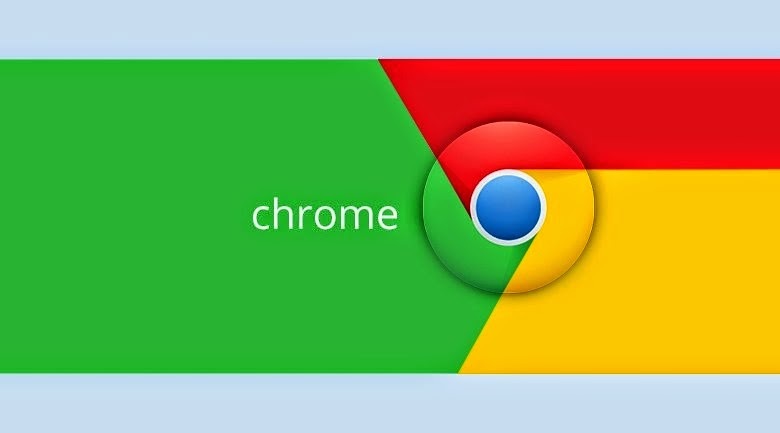 Typing into Chrome's Omnibox searches Google by default, but you can also use it to search most any site on the Web: All you have to do is start typing a site's name into the box -- Amazon or YouTube, for instance -- then press Tab and begin typing your search term. If a site doesn't automatically support native Omnibox searching, you can manually add it into Chrome's search engine list by right-clicking the Omnibox and selecting "Edit search engines." You can also set up a custom keyword to use in place of the site's URL, if you want. You can search your Google Drive files directly from Chrome's Omnibox: Go into the aforementioned "Edit search engines" menu and add a new search engine with the name "Google Drive" and the keyword gd (or whatever keyword you prefer). For the URL, enterhttp://drive.google.com/?hl=en&tab=bo#search/%s, then click the Done button. Now, type gd into the Omnibox, hit Tab, and search away within your own Drive files. The same setup described in tip No. 14 can also be configured with Gmail: Simply perform the same process but make the name "Gmail," the keyword gm, and the URLhttps://mail.google.com/mail/ca/u/0/#search/%s. Want a shortcut for adding new Google Calendar events from Chrome's Omnibox? Add a new search engine called "Calendar" with keyword cal and URLhttp://www.google.com/calendar/event?ctext=+%s+&action=TEMPLATE&pprop=HowCreated%3AQUICKADD. Next time you want to add a new event, type cal into the Omnibox, hit Tab, then type in your event details in plain English -- like "Meeting with Jim in Conference Room 2 Tuesday at 1 p.m." Chrome will take you directly into Google Calendar with all the appropriate fields prepopulated; all you'll have to do is hit Save to confirm. Search your bookmarks from the Omnibox with the help of a free Chrome extension calledHolmes. Once it's installed, you can type an asterisk into the Omnibox, hit Tab, then type in any keywords to get instant results from your saved sites.